Revenue in the Pay-per-View (TVoD) segment amounts to US$1,612m in 2019. Revenue is expected to show an annual growth rate (CAGR 2019-2023) of 0.6%, resulting in a market volume of US$1,649m by 2023. User penetration is 26.0% in 2019 and is expected to hit 25.5% by 2023. The average revenue per user (ARPU) currently amounts to US$18.81. In global comparison, most revenue is generated in United States (US$1,612m in 2019). Pay-per-View offers, or Transactional-Video-on-Demand services (TVoD), are defined as time-limited access to premium video content that requires a usage-based one-time payment. Content includes movies, TV shows or series and can be downloaded or streamed to various devices for a pre-determined period of time. Top vendors of TVoD services are, for example, iTunes, Google Play or Amazon Prime Video. Reading Support Revenue in the Pay-per-View (TVoD) segment amounts to US$1,612m in 2019. Reading Support The Pay-per-View (TVoD) segment is expected to show a revenue growth of 1.0% in 2020. Reading Support In the Pay-per-View (TVoD) segment, the number of users is expected to amount to 86.4m by 2023. 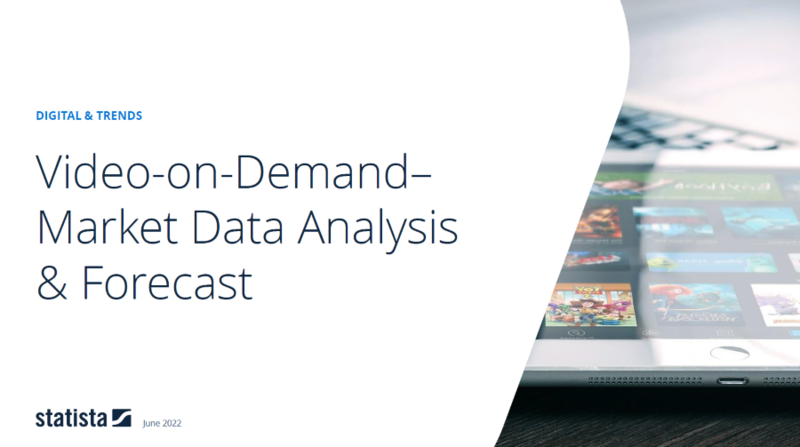 Reading Support User penetration in the Pay-per-View (TVoD) segment is at 26.0% in 2019. Reading Support The average revenue per user (ARPU) in the Pay-per-View (TVoD) segment amounts to US$18.81 in 2019. Reading Support With a market volume of US$1,612m in 2019, most revenue is generated in United States. Reading Support With a rate of 26.0%, the user penetration in the Pay-per-View (TVoD) segment is highest in United States. Here you can find more studies and statistics about "Pay-per-View (TVoD)".